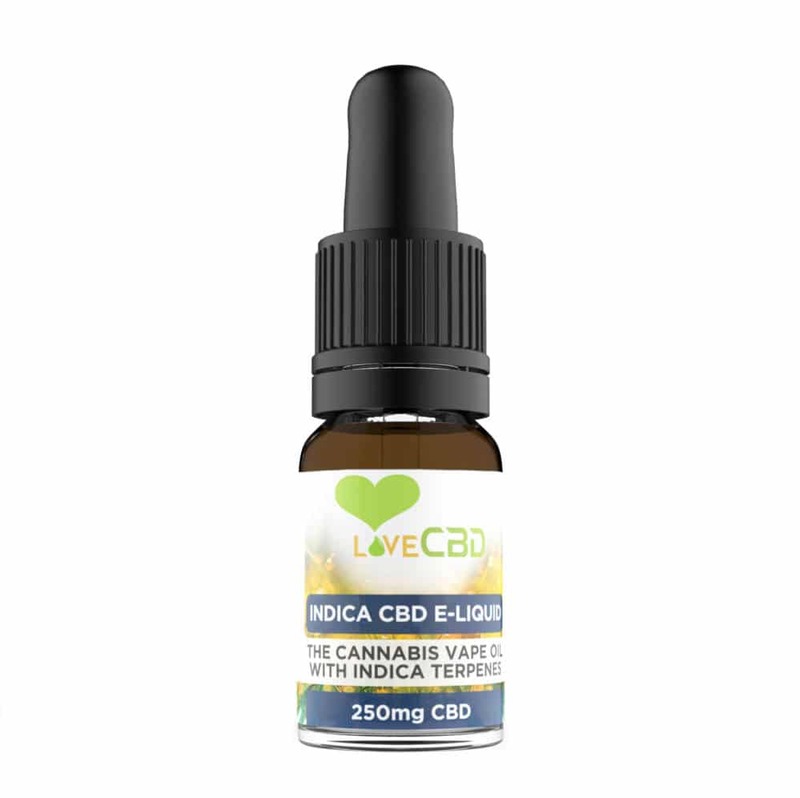 We’ve created Indica CBD E-Liquid for vapers enjoy the benefits of CBD. Indica CBD E-Liquid can be vaped from any electronic cigarette. The unique aroma of the Indica CBD E-Liquid created from terpenes is incredible. Bringing all of the authentic smells and flavours in cannabis to your e-cigarette. If you are a vaper, our Love CBD e-liquid is a great way to enjoy the benefits of CBD. It can be used with any e-cigarette and the liquid is specially made to give you the smells and flavours of cannabis. Our fantastic Indica e-liquid is perfect for relaxing and night time use. 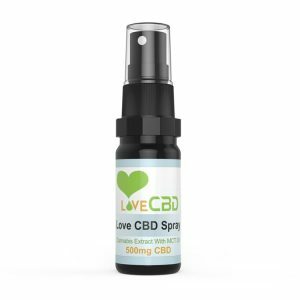 What`s in our Love CBD E-Liquid? 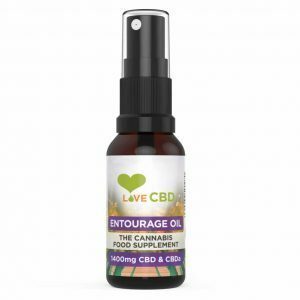 We have been careful not to let any nasty chemicals or solvents get into your Love CBD e-liquid. The farms which produce the CBD don`t use pesticides, herbicides, artificial fertilizers or chemicals, and we use the CO2 method to extract the CBD instead of harmful solvents. 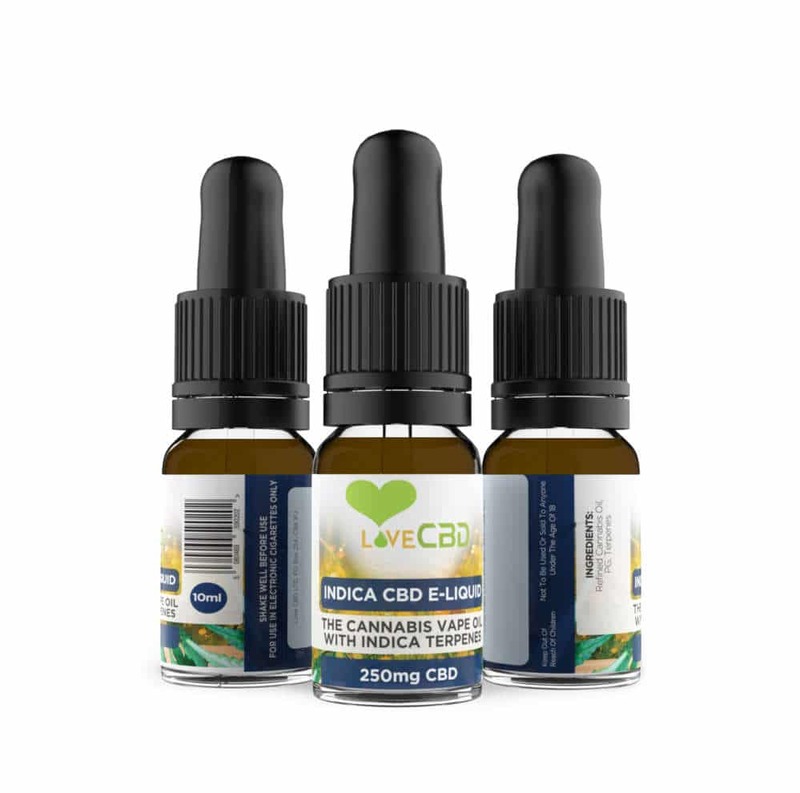 We have added Indica cannabis to the CBD to get the best effect for you. As you will be vaping, we recommend that you use the e-liquid as required. There are two types of cannabis plant – Indica and Sativa. The sativa plant usually has lower CBD and higher THC and is the type of plant that will make you want to be active and creative. The Indica plant usually has higher CBD and lower THC and is the type of plant that will make you relax and wind down. We want you to get the benefits of the Indica plant and that`s why we have added in the Indica strain`s terpenes.